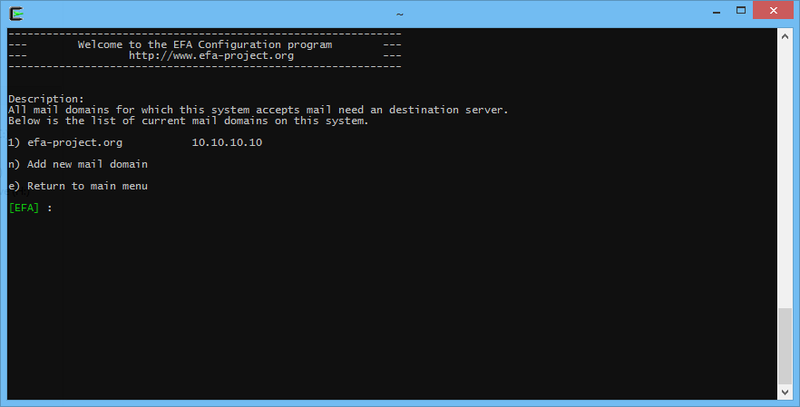 In order for your domains to receive any mails they first need to be allowed to relay through your E.F.A. system. Note: Make sure you have changed your MX records to your new E.F.A. host. To add an domain to your E.F.A. first logon to your system with SSH and the user/pass that you entered during the initial setup. 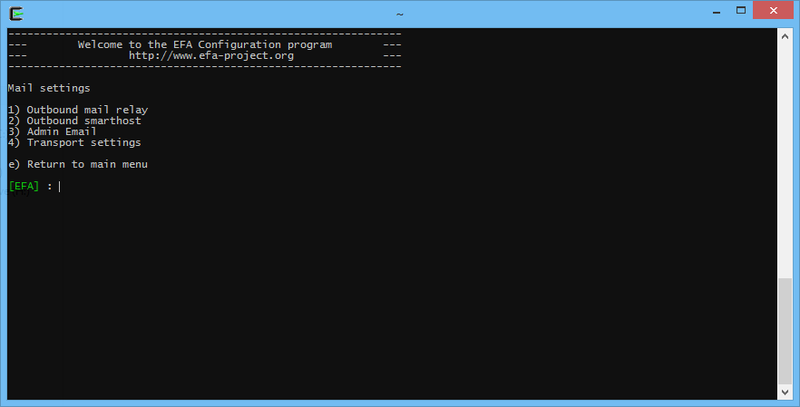 When connected EFA-Configure will automatically start. 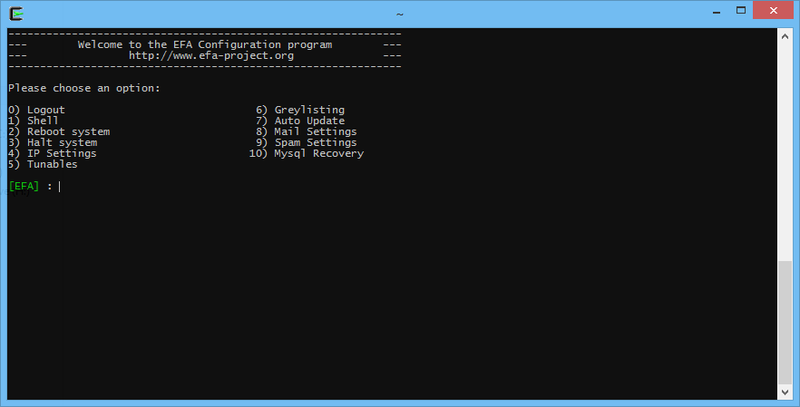 Go to the option Mail Settings by pressing the shown number and press enter. Select the option Transport settings by pressing the shown number and press enter. Press N to add a new domain or press the number in front of a domain to delete or edit the domain.